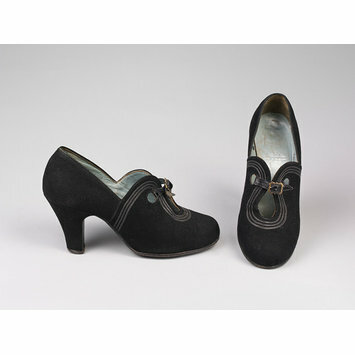 Pair of women's shoes of black suede. High heels. 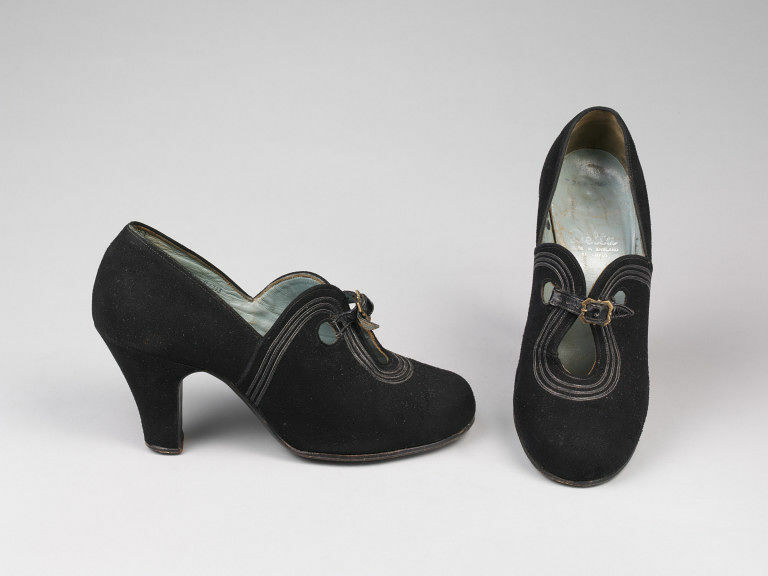 The vamp is high and has a semi-circular cut out over the instep, and is outlined with a narrow leather braid. Fastens with a narrow gilt buckled leather strap.